Hydraulic Exchange focuses on providing customers with the products they need when they need them. We have a combined 20 years in the field of Fluid Power Technology. Most of our competitors are locked into contracts with a few hydraulic manufacturers. Hydraulic Exchange has negotiated terms with flagship repair facilities and manufacturers who stock the components you need in a breakdown situation. At Hydraulic Exchange we bring our knowledge of the Fluid Power Industry and extensive supplier network to you which translates into cost savings and reduced downtime. If we can’t supply you with what you need when you need it, we will point you in the right direction to find it. We specialize in several types of hydraulic systems and hydraulic repair. 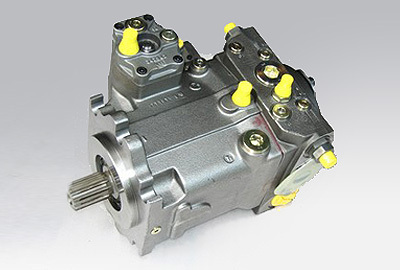 We sell and service hydraulic pumps, hydraulic valves, hydraulic filters and hydraulic motors. We work with hydraulic vane pumps, hydraulic piston pumps, commercial hydraulic pumps, manual hydraulic pumps. Some brand name pumps we work on are bosch rexroth hydraulic pumps, parker pumps, vickers pumps, hagglund pumps, and sundstrand hydraulics. Contact us for more information.